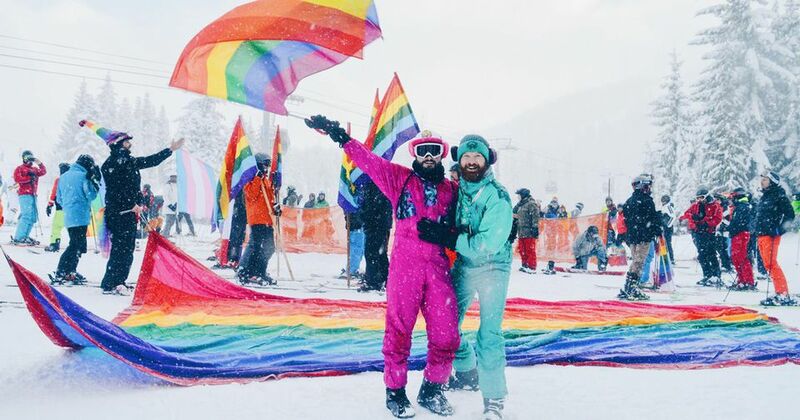 The ninth annual Utah gay ski event produced by the same promoters behind the long-running and highly successful Elevation Mammoth Gay Ski Week, the Elevation Utah - Park City Gay Ski Week takes place this year from February 21 through 24, 2019. It's held just a couple of weeks after the close of Park City's famed Sundance Festival, which dominates the entire region during the second half of January. Elevation Utah has become a huge hit since its debut - it takes place in one of the coolest little ski towns in the West, Park City, a fine place to shop and play in. And it's in the heart of Utah's Wasatch Mountains, which offer some of the best ski conditions in the world: spectacular powder, sunny weather, and beautifully kept facilities. A short drive away, near Salt Lake City, you'll find several other superb ski areas, including Solitude, Brighton, Alta, and Snowbird. The four-day weekend consists of a series of parties (check the official Elevation Utah event calendar for details). We'll post more here as details are released, but last year's fun included a Welcome Apres-Ski on Thursday at Silver Restaurant, followed that night by dancing into the late hours at another favorite Main Street dance club, Downstairs. On Friday there was an apres-ski, followed by a night of dancing and cruising down in the valley at Salt Lake City's very fun gay club, JAM. Then on Saturday and Sunday, the festivities continued with more Apres-Ski fun each day, and then big late-night parties each evening, including a Saturday night fete at O.P. Rockwell, and a number of terrific DJs showing their stuff. Of course, there's also skiing each day at different Park City resorts, informal lunch meet-ups, and lots of other great things to see and do in town and the surrounding region. Elevation Utah is offering lodging deals at a number of local host hotels - here's the Elevation Utah Lodging Guide, complete with links and booking information on each hotel. These include three official host hotels, the Washington School House Inn, the nicely and recently revamped Yarrow by Hilton, and the Park City Peaks Hotel. Also take a look at the excellent travel website produced by the Park City tourism office as well as the outstanding LGBT travel page produced by Visit Salt Lake, which has plenty of information if you're planning to spend some time there. Information on ticket prices can be found on the official Elevation Utah tickets page. Price increases begin January 1, 2019. Utah residents receive a 40% discount on tickets.